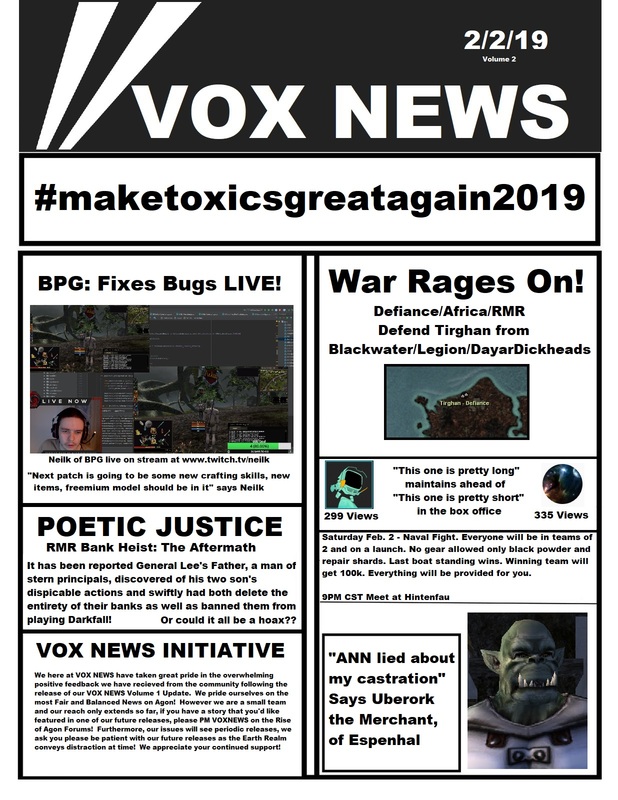 Due to amount of positive feedback, we here at VOX NEWS found the good people of Agon deserved a back to back bonus news update! NonFactor, quietnoobz, Yomi Scythetalon and 24 others like this. a lot of people are still waiting to find out if sub zero is gay? quietnoobz, Mimitis TheOne, Billy Lee and 6 others like this. General Wee in the headlines again. I hope dear old dad cuts them some slack so we can see where they go from here. Lol next patch new crafting skills...I though they stop that awhile ago interesting. RoA @Andrew needs to hire this guy to continue the work, do you have a paypal account for donations? Fengor, Korag and Yomi Scythetalon like this. WANT WANT WANT you will never be happy!